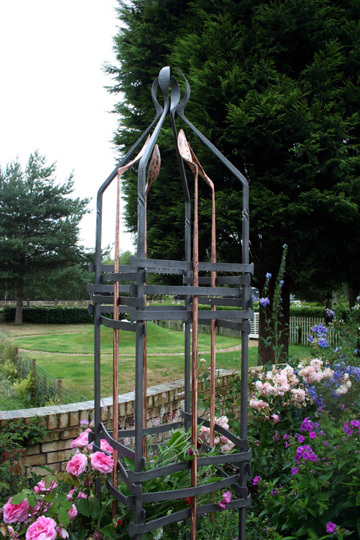 "... stylish, elegant, and bespoke metalwork ..."
This forged copper and steel obelisk is one of four commissioned for a very special garden. 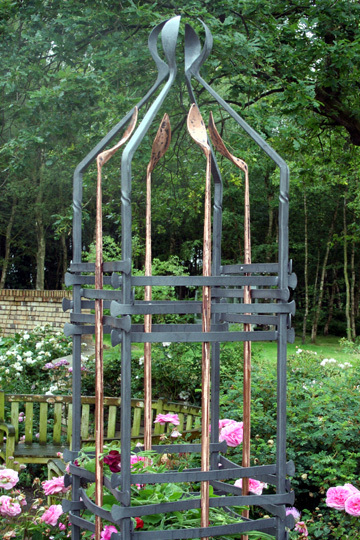 Their design reflects this previously commissioned garden gate and these railings. 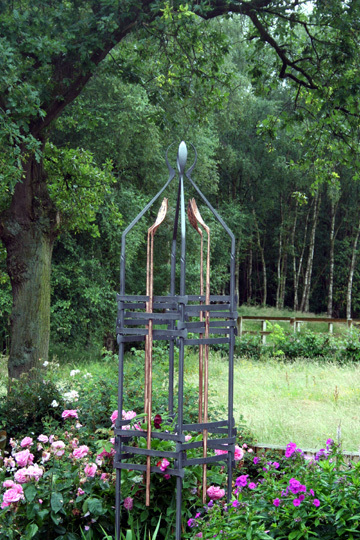 During the summer months the surrounding plants should grow around and entwine the obelisk. 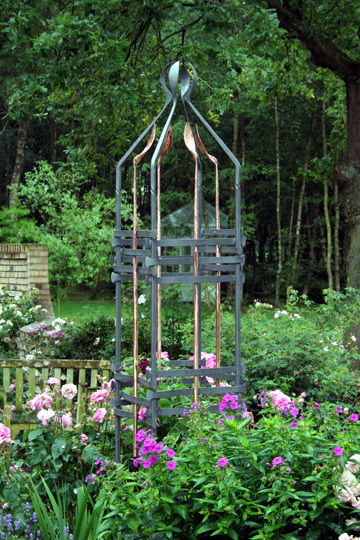 However, during winter when the plants die back, the obelisks will be a sculptural feature in the garden. 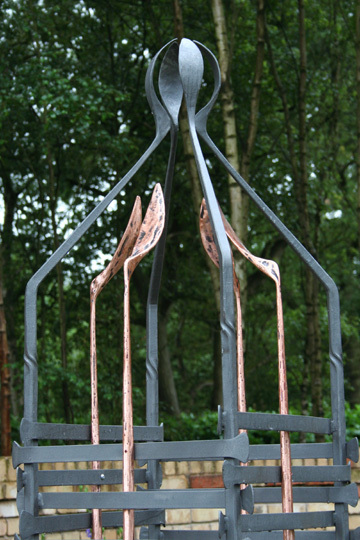 The copper and steel detailing at the apex was made by forging the metals; that is heating and hammering them to shape. 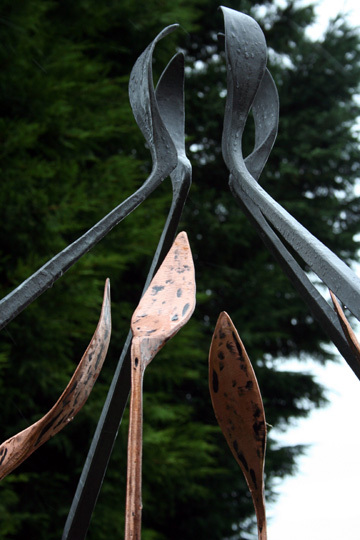 Over the years the copper should patinate and develop a blue-green verdigris.